‘Strobing’ is the new makeup trend that is basically contouring but without the harsh bronzer. The idea is to create depth in the face just through reflecting light. 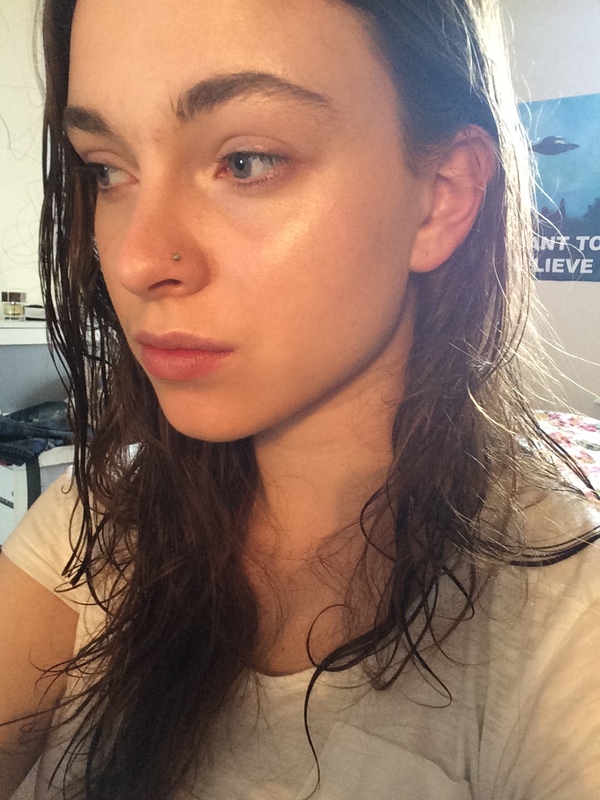 I am a highlight obsessive, so this kind of trend is right up my alley! 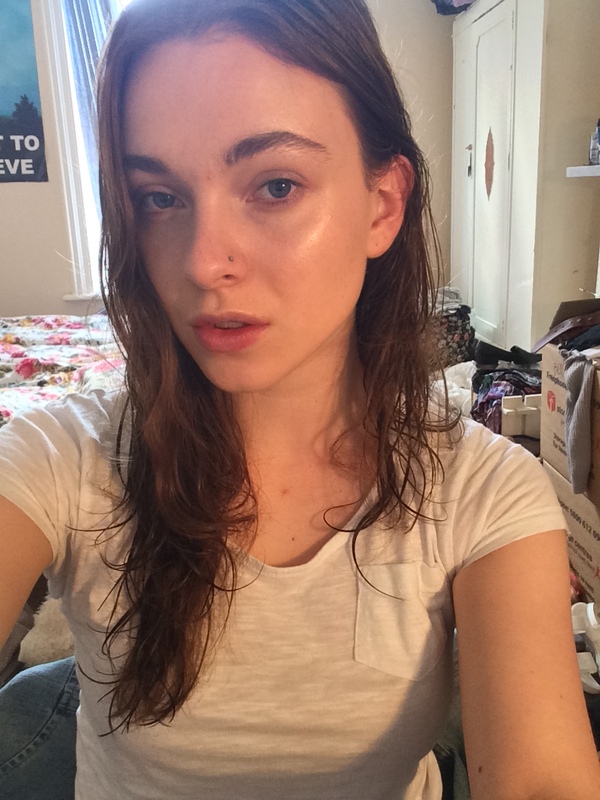 My pinterest beauty board is covered in dewy, glowy, gorgeous skin, and my favourite Instagram account of all time is @aniamilczarczyk, aka highlight queen. Seriously, check out her work – it’s AMAZING! 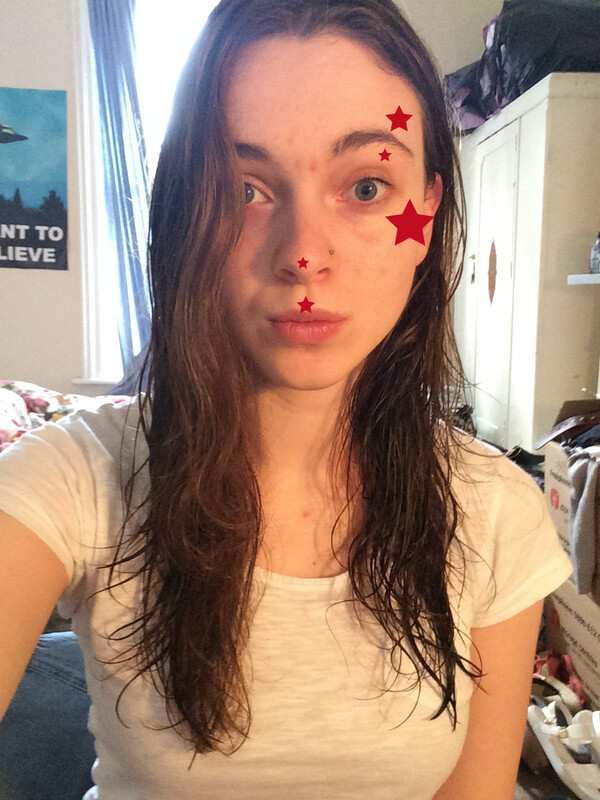 excuse my skin… but the highlight is going to go where the red stars are! For this look I am going to layer 3 products. Obviously I would not do this every day, but the layering gives a really nice effect and is great if you’re going to be going out for the evening, as it also helps it last! 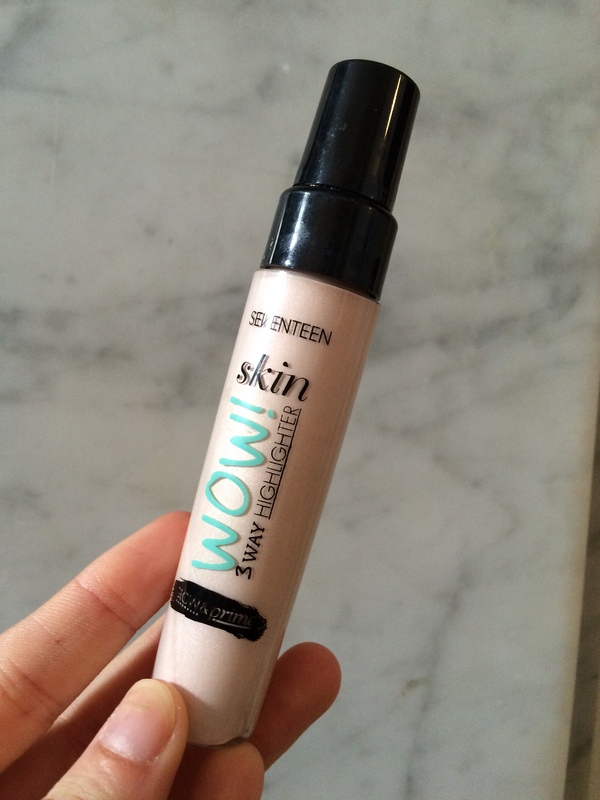 First, I’m using this illuminating primer by Seventeen. If you have read a few of my posts you will know that I love this brand, and if you haven’t tried any of their products, go! This primer is really great for things like this, plus you get so so much in the packet that it will last forever. I am popping it along the areas I want to highlight, and then blending it into my skin. If you were using a matte foundation, you could just mix a tiny bit of this with it and blend all over, but I will be using a more satin-finish one anyway, so that’s not really necessary. After the primer is in place, I am stippling my foundation over and blending it as usual. The one I am using is the Maybelline Dream Satin Liquid in ‘Ivory’, which is just a lightweight and glowing foundation for summer. (Can you tell I’m obsessed with the ‘glow’…). Apply concealer to the areas you usually would and then powder to set. Don’t dust powder over your whole face – the goal is to look slightly shiny so powder just takes that away! 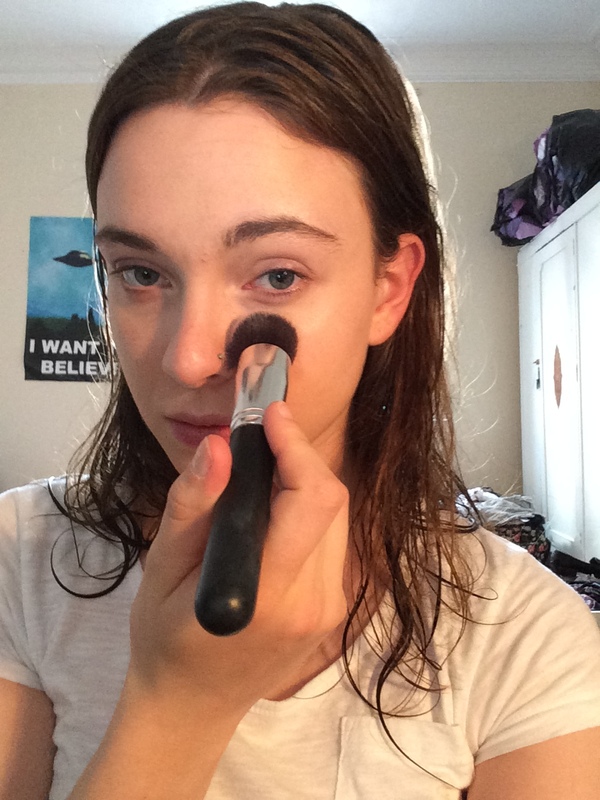 Instead, I like to go in with a buffing brush, the same one I use to blend in my concealer, and gently pat powder over the top, to ensure it goes exactly where I want it to go! Then the next product – a cream one. I’m using this No. 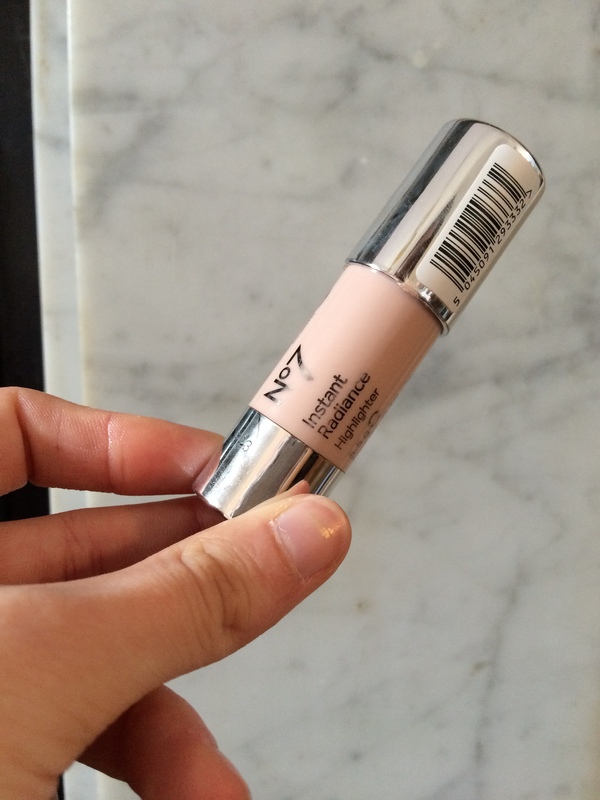 7 product, which is a really great consistency. Lightly pop this over your highlighted areas and then blend again – I’m using that same buffing brush. Finally the powder product. 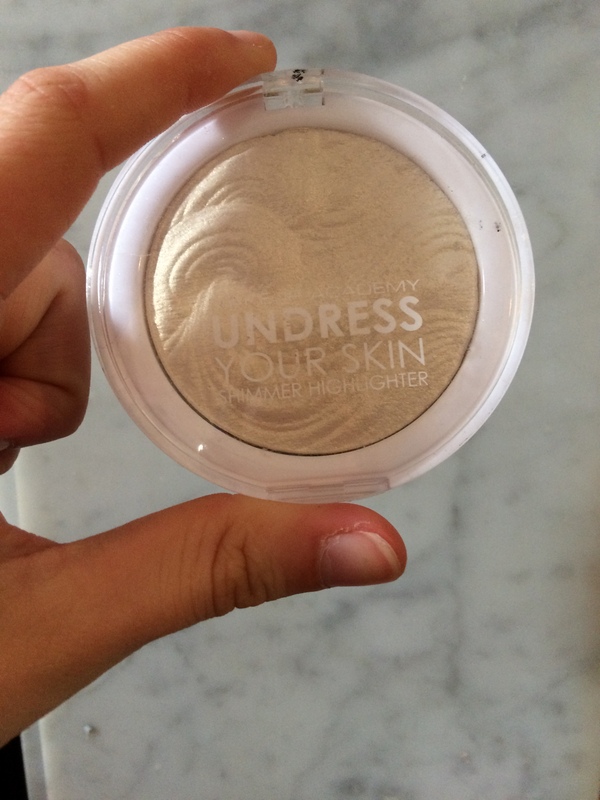 This highlight is really beautiful and I have written a review on it here. If one area is looking too bright for you – I didn’t use this on the tip of my nose as it was already bright enough – then feel free to skip over it! Layer it to the areas you have chosen and there you go – a beautiful highlighted face! Of course this is a lengthy process and not one I’d undertake every day! 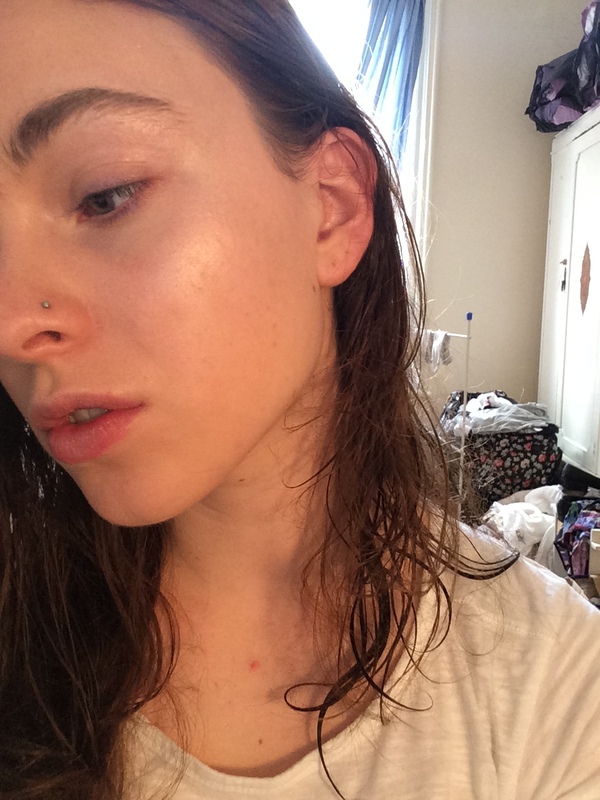 Feel free to use one or two products instead of three etc, but the layering in my opinion really helps to create a beautiful sheen that is more natural than just one highlighter, which can sometimes just look glittery! P.S. I’m currently staying at a friend’s living out of a suitcase because I haven’t moved into my new place yet, so apologise for poor photo quality and backgrounds!